The biggest part of this update is the complete remake of all the game's artwork into a much higher resolution. Lots of other additions and fixes are included in the update too! The last update to Fizz Filler was in 2014, over 2 years! At the time, I felt the game was finished but since the game has continued to get an average rating of 4.5 stars on the Windows Phone store, I've decided to continue updating it again. Returning to development on the game after such a long period of time allowed me to view it (almost) from the perspective of someone who had never touched the game's code, having forgotten most of the code structure. This allowed me to see areas which the game was lacking in. But that's for another time/post. The biggest part of this update is the complete remake of all the game's artwork into a much higher resolution. The downside to this of course is that the game will take up more storage space and system memory when running. To counteract this, the game will load lower resolution sprite sheets in order to allow it to run smoothly on lower-end devices. 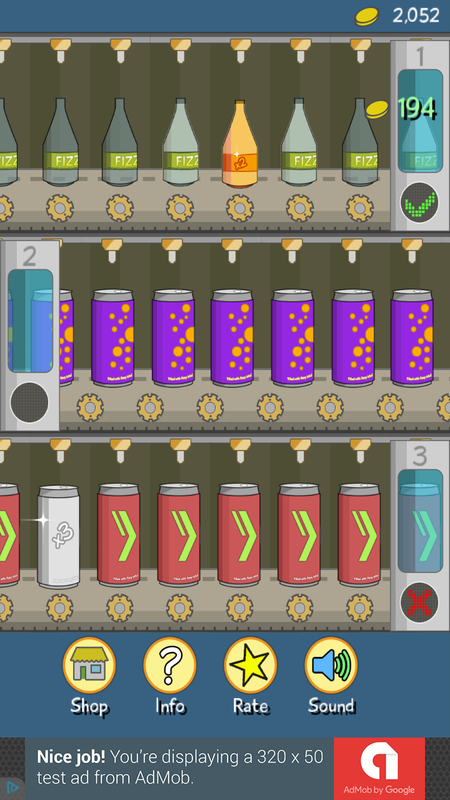 Added filling animation for bottles. 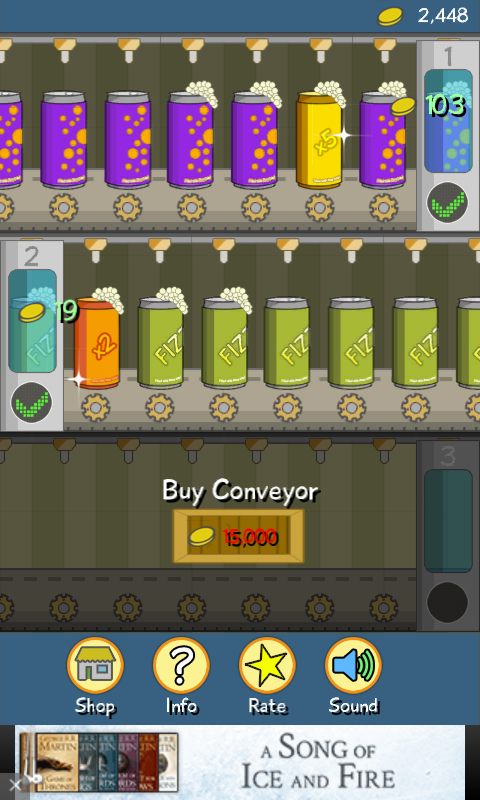 Reduced cost of 2nd conveyor in hard mode. Reduced base cost of Labels upgrade to 15 coins. Some statistics are no longer reset when starting a new game. Fixed incorrect color of nuclear background. Fixed game sometimes freezing on startup. Fixed incorrect position of 'OK' button on confirmation dialogs. The Android version of the game is nearing completion, but that's it for now folks!